Twin Flame Energy Forecast 15th-21st April: "Hidden Power"
Stepping Into Your Divinity. The Soul’s Light Activating – Calling All Warriors! Are You Honoring The King Or Queen That You Are? Highlights this week include: Leo Moon activates a powerful Grand Trine in Fire, sparking a “leveling up” of your journey, Full Moon in Libra sets the spotlight on harmony and unity… While the planets of love and communication both shift into Aries – calling out the warrior in you! Are you ready to fight for love? We have several challenging Lilith interactions going on this week, continuing from last week. 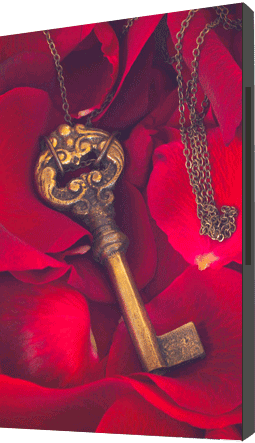 Key words are female related karma – and it’s relating to Neptune and Venus, tying in with spirituality and love. If you’ve been facing hopelessness, feeling like your dream of Reunion won’t or can’t happen, ask yourself: How does the history of the female human collective factor into this? The “lesson” you’re being asked to learn is, in essence, that love is eternal. You always have a connection with the divine, with light. The love your Twin Flame’s higher self has for you – their support – will NEVER fade. It can never go away, and if it seems to ***it’s because of the human illusions***. Work to tap into your light, and this transit will feel easier. (Have a look at this new session where your Twin’s eternal self shares love and guidance, helping you shift out of the human 3D karma and bring unconditional love into the physical). Luckily, we also begin this week with a powerful grand trine between Uranus, the Moon in Leo and Jupiter R.
We’re dealing with a process of change and refinement happening from within but with powerful long term results in the physical and for your whole life’s journey. The power of Leo fuels a highly necessary sense of worthiness and deservingness in you this week’s start! If you can tap into this it will help you shift your timelines into a higher state for the long run. Aligning your energy with attracting what you truly deserve as a divine soul of light – the best! Leo power helps you see yourself as the best you can be, as a queen or a king. And you are! Don’t miss out on this key transit – it’s short but positive so set aside some time on Monday or Tuesday to write down your goals and your positive affirmations now. We also have power infusing Aries (or Aries infusing power into the planets!) this week – with Mercury and later Venus moving into the sign of the warrior. 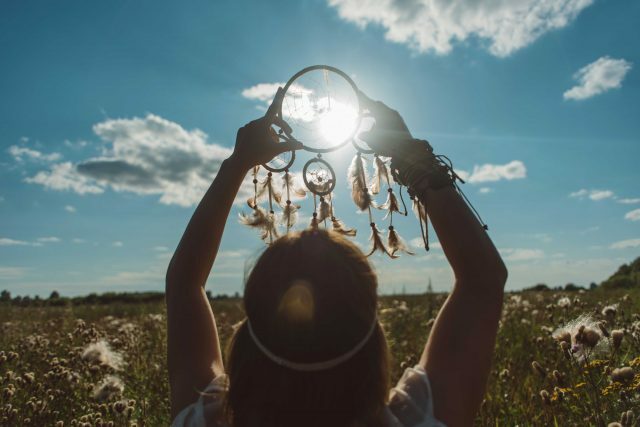 This is amazing for willpower and getting going on creating and attracting your “dream come true” – because remember we are always co-creators of our journey. This is why so many people experience life-changing shifts when they clear their chakras for the first time, or work on healing old hurts. Because the energy we hold, is what attracts our outer circumstances – including the dynamics we have with others! (Especially our Twin Flame). So what are you aligned with? Are you inviting in love and abundance, or are you wired into struggle and conflict? Find out here with this free channeled quiz. 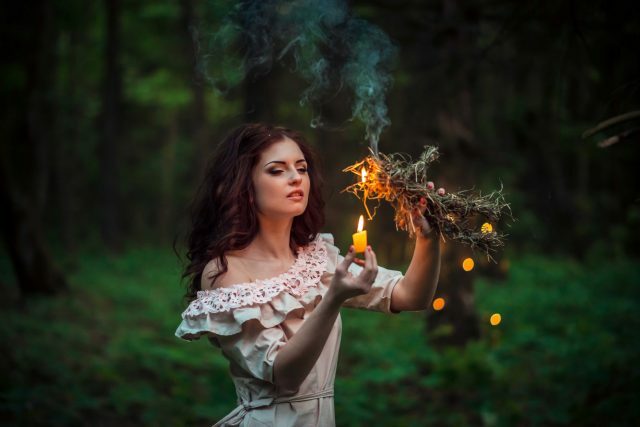 But when handled wisely this fiery power can help you reach for the sky, get A LOT done, and be brave to move into areas you would otherwise have shied away from but will help you get your dream come true! If you feel like boldly going for something these next few weeks, listen to that hunch! Reach far, and expand into a life that’s truly worthy of you! As a (triple) Aries myself, looking back on my journey it’s what helped me the most – diving into what others may have thought wasn’t sensible or even possible. Expressing myself boldly and choosing what I wanted when being modest and going along with what “everyone else” around me was doing may have been more diplomatic… But if I’d done that you wouldn’t be here reading this blog! Aries power can be challenging (especially when it comes to other people) but it can also be transformative! You are a being of light! See what you want and reach for it – nothing is impossible! What is the one next step you can take in the direction of your dream right now? Whether it be your Twin Flame union, a dream job, moving to another country or sharing your creative work with the world… What is one step you can take? You’ll look back and realize how far you’ve come all of a sudden! Come April 19th we have a Libra Full Moon – the second in the same sign in two consecutive months. This is a highly rare event and shows the cosmic focus right now is important – we’re dealing with karma and soul paths, not only for Twin Flames but the human collective. This particular Full Moon is known as the “Pink Moon” and happens in an opposition with the Sun and Uranus bridging Taurus and Aries. Above all this is about “self vs other”. “You vs me”. Themes of separation vs unity. If this is you, the Full Moon will likely feel relatively smooth for you on an inner level… but could bring up issues of having felt dismissed and mistreated by others as THEIR issues rise to the surface. Some people will be coming face to face with the “mirror image” of what THEY have brought to others, and it won’t always be pretty… But it’s the universal way of pushing for balance. We’re shown that many Twins will feel “foggy” at this time as their systems are exchanging messages – “chakras talking” and their energies are balancing between them. 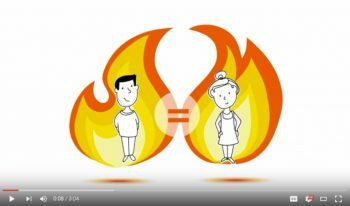 We’re shown that this often happens behind the scenes in the Twin Flame connection (read more here). Jupiter R joins in the Full Moon triad with support and shows us that there is a higher positive purpose to what is going on right now. Whenever we enter into a relationship, we activate past experiences with others. This is being pushed up to be healed now, to open up to more balanced relationships for the whole collective. And as “pioneers” of love, Twin Flames experience this strongly. Childhood issues are likely to crop up in “phantom disguises” – look at how you’re interacting with your Twin if there are problems. Remember that “relationships do not cause pain and unhappiness”, as Eckhart Tolle has written, “They bring out the pain and unhappiness that is already in you”! 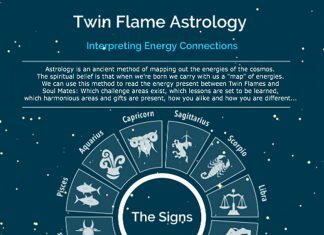 This is a CRUCIAL insight for the Twin Flame journey – what it’s all about! And it’s designed that way for a higher purpose. Watch a brief video on it here. Remember that energy clearing tools can help you release any old wounds and challenging situations with greater speed and ease, so that you can move with the current rather than staying in the struggle of running and separation that stems from negativity being released. Previous “waves” of Twins might have spent decades to get to a place of harmony, but the new wave of awakening Twins are on a fast track like never before. We have chosen this. This is why so many Twins don’t find relief in traditional healing, reiki, yoga and the “old” modalities – we’re deliberately wired a different way (read more about this here). And for a tailored method to the “new wave”have a look at the Vibrational Alignment Program I was asked to share with other Twins after my Twin and I reached Union, created as a step by step roadmap to union. Late this week we have Venus joining Mercury in Aries, setting the scene for new themes in love and relationships compared to last month. This signals a key time for the Feminine Twin. “She” is being called on to step into her full power, the archetype of the warrior princess! Unafraid, courageous, strong, independent. These Aries energies are strongly supporting the feminine in embracing power, strength and action. Don’t hold back from taking action on your dreams and wishes now! Activating the powerful Aries/3/fire themes of 2019, this Venus transit is set to be a spotlight time of the year. The momentum is working in your favor right now. Many positive changes can happen in this period. Even if things seem hopeless or challenged on the outside, what’s going on especially inside you right now, is shifting things in your favor. Spirit suggests, find a song or more that fires up your courage and makes you feel invincible! You can use this to tap into your power and “move mountains”! Do share in the comments below – what’s your “power song” or “light warrior theme tune”? As the Sun enters Taurus on the same day we yet again have a spotlight on creation, manifestation and the forward path. Much progress can happen this coming month with the fuel of Venus in Aries and the grounding power of Sun in Taurus. Taurus as a sign is all about practicality, creation – the home sign of Venus, planet of Love. The cosmic message is: Don’t give up if things haven’t happened just yet! Remember that we manifest when we consistently send energy and emotions and thoughts out, in a particular vibrational match with what we desire. If our subconscious feelings and thoughts are revolving around stress and fear while we consciously desire to manifest joy and love – it’s not going to be easy… We’re fighting ourselves. As he enters into Taurus, the sun travels past Uranus, who moved into the sign for the first time in over half a century last year. When Uranus entered Taurus, it signaled the start to big shifts in terms of life, love and heart centered living… (because Taurus is the home of Venus, planet of love). With Uranus working “his” way through Taurus for the next 7 years, our heart chakra, relationship programming and templates are being powerfully triggered to purge old negativity to make way for a higher state of love. Why Your Self Image Is Key To Twin Flame Unity! These themes are heightened as the Sun travels past here. Above all, we see Uranus pushing for changes in how you manifest and what you align with attracting into your life for the long run. How do you see yourself? Is the key question. Sun/Uranus are working this next week to help you *uplevel your self perception* and what you see as possible, so you can shift into a dramatically higher alignment! Their “goal” is for you in a few years time to look back and be astonished with what you achieved and experienced – in a positive sense. There are NO limits! That’s the message. What do you believe? Are you the “kind of person whose dreams come true”? If so, great, keep working at it! And this is going to be shown to you now so you can change it! Because nothing is impossible. Let me take you through it here – how to manifest and invite in your goals in a way that brings REAL world results. This week can be either a super booster exhilarating happy time of amazing progress and inspiration… Or a downhearted time of feeling like your dreams are out of reach. Depending on your inner state. And this for a divinely guided reason! How you feel this week is SHOWING you what you are habitually aligned with behind the scenes. So you can have your dream come true. It’s like the curtain is pulled back and you get a glimpse into your future… And the amazing thing is, if you don’t like what’s revealed you have it in your power to change it! You NEVER have to just play the cards you’ve been dealt in life. You have the ability to change things around for the better. Will it be instant? It can be, but often it’s a process. But is it possible? OH YES! – Are you READY and WILLING to be that powerful? – Can you allow yourself that much mastery over your life? – Can you really afford to keep leaving things up to chance? … And has that worked out for you so far? Your soul is waiting for you on the sidelines, willing and hoping for you to finally begin to manifest the life you really deserve. If you need some help with this, have a look here. I’ll get you started.